18 Jan 2017 --- New research has shown that people with metabolic syndrome need significantly more vitamin E - which could be a serious public health concern, in light of the millions of people who have this condition that's often related to obesity. A study published in the American Journal of Clinical Nutrition also made it clear that conventional tests to measure vitamin E levels in the blood may have limited accuracy compared to tests made in research laboratories, to the point that conventional tests can actually mask an underlying problem. Vitamin E - one of the more difficult micronutrients to obtain by dietary means - is an antioxidant important for cell protection. It also affects gene expression, immune function, aids in repair of wounds and the damage of atherosclerosis, is important for vision and neurologic function, and largely prevents fat from going rancid. This study was done by researchers in the Linus Pauling Institute at Oregon State University and the Human Nutrition Program at The Ohio State University, as a double-blind, crossover clinical trial focusing on vitamin E levels in people with metabolic syndrome. It was supported by the National Institutes of Health, the National Dairy Council and DSM Nutrition. More than 30 percent of the American public are obese, and more than 25 percent of the adults in the United States meet the criteria for metabolic syndrome, putting them at significantly increased risk for cardiovascular disease and type-2 diabetes - primary causes of death in the developed world. That syndrome is defined by diagnosis of three or more of several conditions, including abdominal obesity, elevated lipids, high blood pressure, pro-inflammatory state, a pro-thrombotic state and insulin resistance or impaired glucose tolerance. 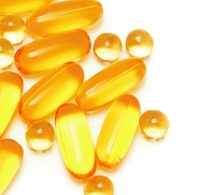 This research, for the first time, also clearly outlined a flaw with conventional approaches to measuring vitamin E. By “labeling” vitamin E with deuterium, a stable isotope of hydrogen, scientists were able to measure the amount of the micronutrient that was eliminated by the body, compared to the intake. The advanced research laboratory tests, which are not available to the general public, showed that people with metabolic syndrome retained 30-50 percent more vitamin E than healthy people - showing that they needed it. When the body doesn't need vitamin E, the excess is excreted. But in the group with metabolic syndrome, even as their tissues were taking up and retaining the needed vitamin E, their blood levels by conventional measurement appeared about the same as those of a normal, healthy person. The findings support the conclusion that people with metabolic syndrome have higher levels of oxidative and inflammatory stress, scientists said in their conclusion, and require more antioxidants such as vitamins E as a result.